Interested in Edge Analytics for Manufactuing? Frost & Sullivan analyzes the segment and awards FogHorn with its product leadership award. 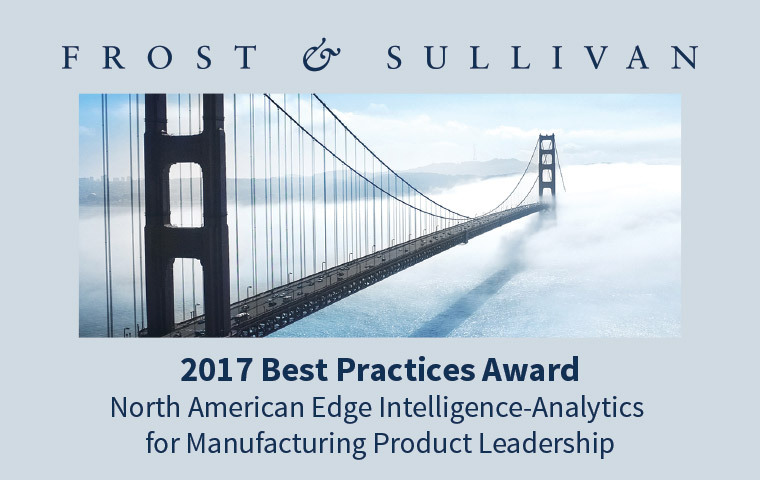 Read the full report by Frost & Sullivan to learn how they benchmark manufacturing analytics solutions. FogHorn is a leading developer of “edge intelligence” software for industrial and commercial IoT application solutions. FogHorn’s Lightning software platform brings the power of advanced analytics and machine learning to the on-premise edge environment enabling a new class of applications for advanced monitoring and diagnostics, machine performance optimization, proactive maintenance and operational intelligence use cases. FogHorn’s technology is ideally suited for OEMs, systems integrators and end customers in manufacturing, power and water, oil and gas, renewable energy, mining, transportation, healthcare, retail, as well as Smart Grid, Smart City, Smart Building and connected vehicle applications. FogHorn named by Gartner as a Cool Vendor in IoT Edge Computing. Lightning, VEL and EdgeML are trademarks of FogHorn Systems.